Kind of a touchy subject in our community, whether to vape in public or not. CoffeeFuel addresses something vapers continue to be divided on. Should we vape in public? 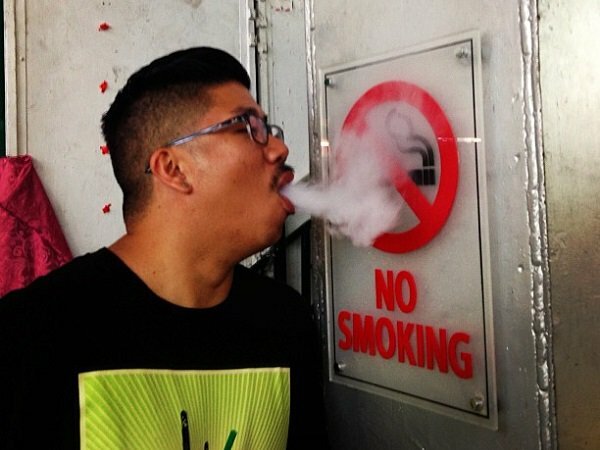 Thanks Morry, thats right, if you can’t smoke there you can’t vape there either. I have the same philosophy as Morry. With us trying to get the news out about vaping and what it is and is not, asking or not vaping where prohibited is the best idea. The vaping community needs to have a positive look on it and by pulling a vape out in a hospital and then getting upset when asked to go outside to vape is not what the vaping community needs. We know it is not smoke but not everyone see’s it this way. Thanks Ohm_punisher. Yes i agree, some vapers can be total douchebags when confronted in public places. Hospitals, restaurants, grocery stores, etc. We don’t need to vape in these places. Previous Previous post: Don’t Be Fooled: Vape And “Spice” Are Two Different Things!